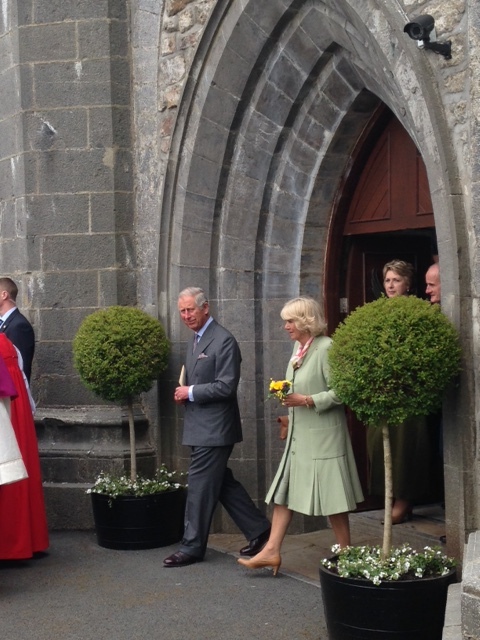 Prince Charles and the Duchess of Cornwall attended an ecumenical service for peace and reconciliation at St Columba’s Church, Drumcliffe on May 20th, 2015 (note the new shrubbery!). 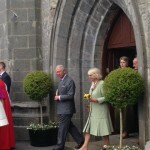 The visit was a great success, and one that will be remembered for years to come, especially as the royals planted a tree in the graveyard to mark the occasion. This entry was posted in News and Events on June 17, 2015 by . 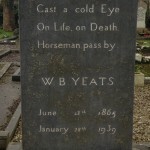 2015 marks the 150th anniversary of the birth of WB Yeats and Drumcliffe, the site of this burial, will be a central location for the celebrations. 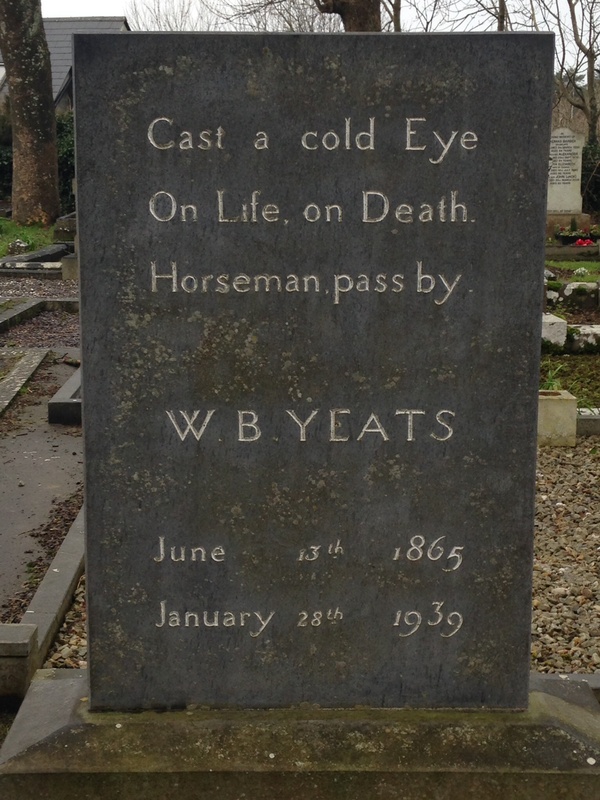 In January we marked the 76th anniversary of his death with a programme of music and poetry recital followed by a graveside wreath laying. This entry was posted in News and Events on April 13, 2015 by . Drum Rath Draft TT Action Plan 2014-2018 The new 5-year Tidy Towns Plan for Drumcliffe Rathcormac has been approved and is now published. This entry was posted in News and Events on March 26, 2014 by . Thanks to the efforts of Gene and Dympna O’Carroll, the long forgotten Drum Road water pump has been lovingly restored, renewed and repainted. Great work! BREAKING NEWS: Drum Road pump stolen (February 2014). This entry was posted in News and Events on June 14, 2013 by . The 2013 Colmcille Pageant was a fantastic display of community spirit and creativity, a colourful and memorable event in the history of Drumcliffe/Rathcormac. Hats off to all who helped bring this novel idea to fruition, most particularly to Brenda O’Callaghan and her band of artistic warriors. Might also mention that the Bat Talk given by Barbara McInerney was also a great success with a massive turnout on the night. What talent and expertise we have in North Sligo! This entry was posted in News and Events on May 15, 2013 by . The 2014 Drumcliffe Rathcormac Spring Clean takes place on Saturday, 12 April, at 10:30 am. Starting from both church carparks. Please lend a hand in preparing the village for the 2014 Tidy Towns Competition. This entry was posted in News and Events on May 1, 2013 by . Go Batty! Take a Bat Walk with Barbara McInerney of Wild on Foot. Starts from History Centre at 9pm. Hosted by Drumcliffe Rathcormac Tidy Towns and Sligo County Heritage Office. This entry was posted in News and Events on April 23, 2013 by . A spectacular Story Pageant about St. Colmcille, the founding of his Drumcliffe Monastery and his epic journey to Iona. Enjoy performances at Drumcliffe Church and Rathcormac Village including chanting monks, the books of the battle, doves of peace, flags and emblems from the Book of Kells, music and percussion which will ‘rhythm’ the route. Starting at Drumcliffe Church, procession to Rathcormac Village Green.